Granic is featured in the latest Compounding World Magazine issue. The article "Functional fillers: making modifications with minerals" goes into depth regarding ecological and technical advantages of the use of fillers such as Granic. Mineral fillers reduce the carbon footprint of the final product whilst improving mechanical properties. 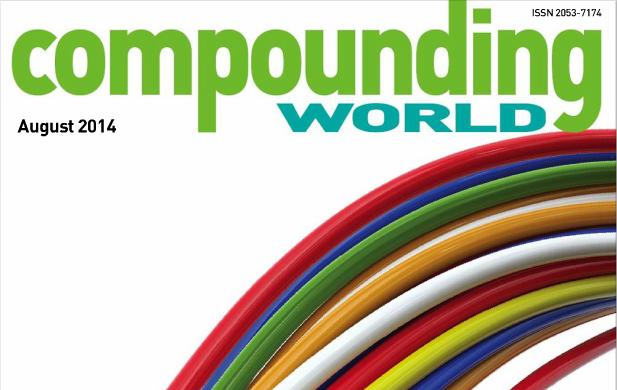 Compounding World Magazine is a monthly magazine written specifically for polymer compounders and masterbatch producers around the globe. It is published electronically by Applied Market Information, the leading provider of market intelligence and analysis for the global compounding and masterbatch industries.Compounding World Magazine is the most widely read in the plastic sector.